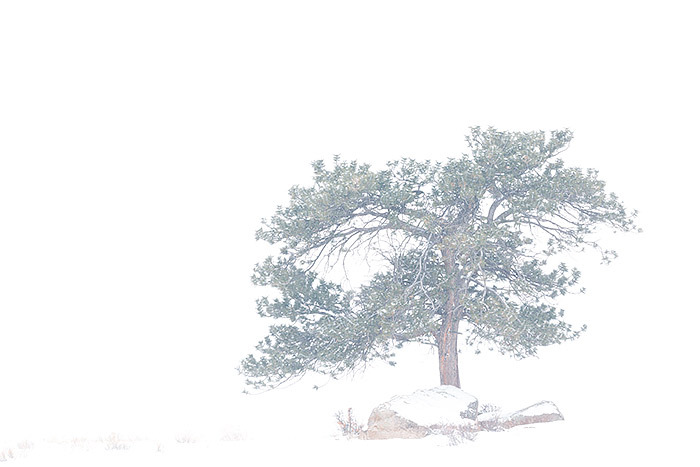 A lone Ponderosa pine tree weathers the cold and snow on a hillside above Moraine Park. While life in Moraine Park can be pleasant and beautiful, the torent of winter must also be endured by both the flora and fauna that inhabit Rocky Mountain National Park. Photo © copyright by Thomas Mangan.